Home » Asylum Seekers » FactCheck: does Australia co-operate with the UN on its human rights obligations? BARRIE CASSIDY: Now this other issue on the UN envoy who postponed a visit to Australia because of the laws around detention centre workers, do you find that embarrassing? GEORGE BRANDIS: Well, I’ve seen the report. I don’t know anything about the particular facts of the case. But can I just make this point to you, Barrie? : that Australia does co-operate with the United Nations in relation to our human rights obligations, in particular through my department, the Attorney-General’s Department. We are in very regular dialogue with relevant United Nations agencies who do a periodic audit of compliance by all the member states with human rights obligations and we have undertaken that exercise in my department quite recently. – Attorney-General George Brandis, speaking with host Barrie Cassidy on ABC TV’s Insiders, September 27, 2015. At its narrowest interpretation, Brandis is correct: at a purely procedural level, it is true that Australia does comply with its formal obligations to report to the UN, and has issued an open invitation for UN investigators called Special Rapporteurs to visit. However, taken more broadly, Brandis overstates Australia’s human rights record in relation to the UN. Australia has been widely criticised, including by the UN, for its weak compliance with substantive obligations to respect, protect and fulfil human rights. The “UN envoy” that Insiders host Barrie Cassidy mentions is United Nations Special Rapporteur on the Human Rights of Migrants, Francois Crepeau. To understand Brandis’ reply, we must first understand the role of a Special Rapporteur. The UN Human Rights Council is a body established by the UN General Assembly to oversee human rights compliance by UN member countries (“states”). The UN uses what it calls “special procedures” for this purpose, such as Special Rapporteurs, Independent Experts and Working Groups, to investigate and report on human rights issues, or the situation in particular states. Current issues under investigation include education, food, freedom of expression, and indigenous peoples. A special procedures visit to a state is only by invitation, and so a request is made for an invitation from a state. Some states issue the requested invitation and some don’t. Some states have issued a standing invitation, indicating a willingness to receive visits at any time. Australia issued a standing invitation in 2008, before which it agreed to every request it had received. Under the standing invitation, Australia has received special procedure visits on Indigenous people, health, foreign debt, and people trafficking; previously it received visits on freedom of religion or belief, contemporary forms of racism, arbitrary detention, and adequate housing. Perhaps because Brandis’ comment came in a live interview, his reference to “obligations” in the context of the Special Rapporteur’s visit is a little confusing. Inviting a special procedures visit is not an obligation but something that Australia can choose to do, voluntarily. Australia does choose to co-operate on many human rights issues, ranging from constructive participation in UN Human Rights Council discussions, to contributing funds to the UN Office of the High Commissioner for Human Rights, and the conduct of human rights dialogues with neighbouring states. 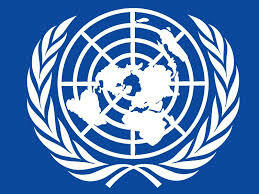 On occasions, however, Australia chooses not to co-operate, such as declining to give effect to the UN Human Rights Committee’s view that a human rights violation should be remedied, not adopting international human rights treaties, opposing a UN Human Rights Council resolution to establish a war crimes inquiry after the Sri Lankan civil war, and rejecting the legitimacy of the UN’s views on human rights in Australia. On these occasions, Australia is not breaching an obligation, but nor is it being a model international citizen. If Brandis intended to refer to human rights co-operation that Australia is obliged to engage in under international law, then at a purely procedural level it is true that Australia does comply with its formal obligations to report to the UN (for example in the Universal Periodic Review and to the human rights treaty bodies). to fulfil human rights (take positive action to facilitate the enjoyment of basic human rights). Many commentators and experts argue that the list of Australia’s failure to meet these obligations is long, with critics ranging from the UN to Australia’s own Human Rights Commission, and international NGOs. Australia’s own laws are at times said to be non-compliant with UN human rights obligations; the United Nations Special Rapporteur on the Human Rights of Migrants delayed his visit to Australia because, he said, the Australian Border Force Act would make his fact-finding job very difficult, criminalising the disclosure by an immigration and border protection worker of information they obtain in their job. This restriction on freedom of expression may itself be a measure that is contrary to human rights. This is a fair and measured critique of the extent to which Australia is co-operating with the UN in relation to its human rights obligations. It is useful to differentiate, as the author does, between procedural and substantive compliance. Although Australia is generally compliant with its formal reporting obligations, it co-operates less with the UN now than in the past. After the second world war, Australia made valuable contributions to the drafting of the Charter of the United Nations and the Universal Declaration of Human Rights, through former Minister for External Affairs, Doc Evatt. He was also elected president of the UN General Assembly in 1948. In the present era, the UN has found Australia in breach of the International Covenant on Civil and Political Rights and other human rights treaties 40 times since 1994. The NGO Remedy Australia found that in only 15% of these cases has the Australian Government complied with the UN’s decisions and remedied the violation.